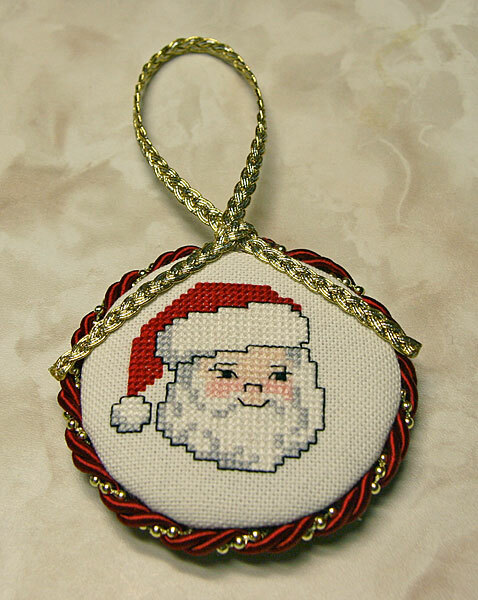 I made a few ornaments late in 2007 to include with some gifts, but being sick and having a broken computer conspired to keep me from posting pictures at the time. Unfortunately I forgot to take a picture of one of them before I wrapped it up in its box, but here are the other two. 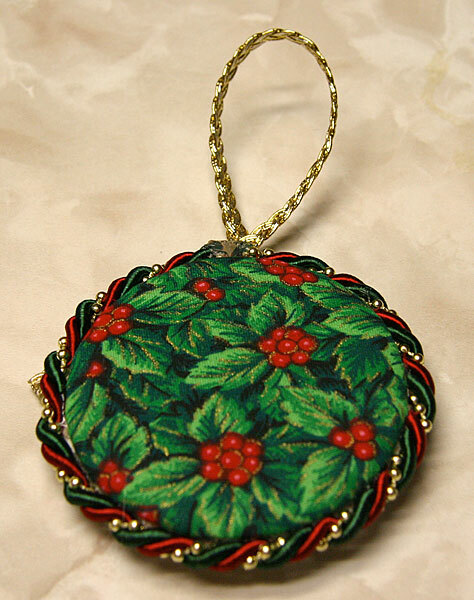 The poinsettia ornament was sort of my trial and error one that I was going to keep for myself. The other was a gift. I was really happy how the stitching came out on the Santa, since I was trying really hard to keep the white stitching clean and even. Both of these designs came from a book of quickies (sorry, I don't have the exact title handy!). 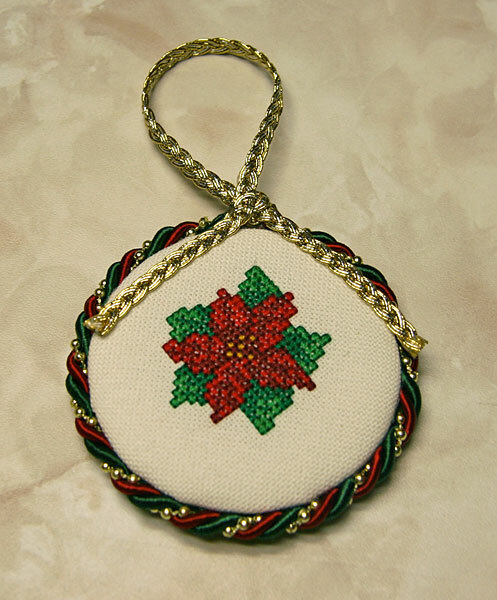 This is another ornament that I finished at the end of the year that I thought I had posted, but I didn't see it. 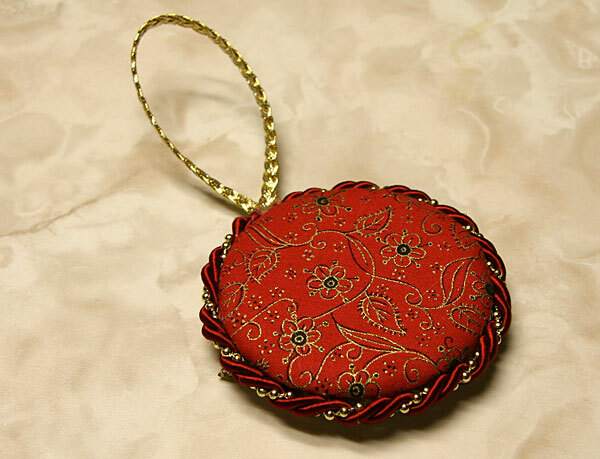 It was originally a little kit that came with a plastic round frame, but I decided to make a little pillow out of it instead. 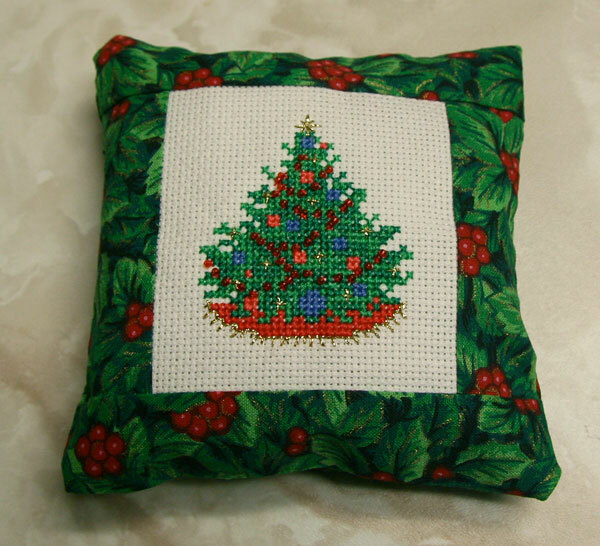 The design also called for French knots as the garland on the tree and I substituted some old leftover red beads instead. I also stitched the yellow accents with some Kreinik gold braid instead (I have several partial spools left over from Celtic Christmas). 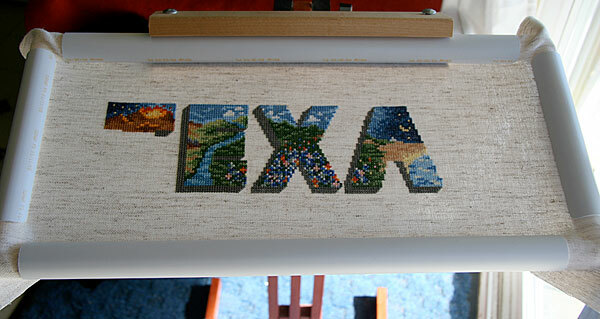 And last but not least, here's an update on Texas Panorama, although it's already out of date, since I finished the "T" last night. I'll post that picture later.